By Mike Macartney In Non Fiction Tagged In Job Hunting. If you have suddenly found yourself unemployed, between jobs, or even in a thin spot in your career that you thought was stable, you may find that job hunting today is anything but traditional. While book is written to encourage and empower, it also challenges and motivates job hunters in today’s fast changing job market. The book focuses on the up-to-date job hunting techniques that work in the modern world, giving readers an understanding and a lay of the land in this computerized job world. From linkedin, to facebook, to twitter, there is more than just a good overview here. 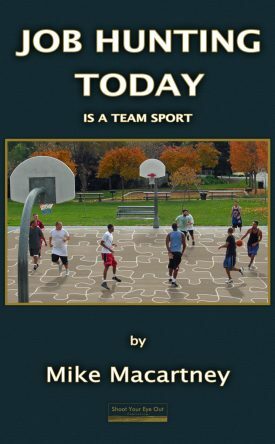 As in its title, the book works to instill employable attitudes such teamwork, and coordinated efforts. From finding the right application for your skillset, this book sends the message that every job hunter is as unique as every job is. Written by an engineer, this book includes traditional common-sense job hunting advice on such things as interviewing advice for people who think that they might not normally interview well, but have valuable skills to offer in today’s job market. If also offers inspiration and motivation to those of much greater experience who may be looking for a job in today’s youth-oriented job market. Written concisely and in a comfortable and informal style, this book provokes the reader through real world and personal examples rather than trying to coerce the reader. Using today’s modern means for personal networking and promotion, this book works to bridge the gaps that can lead the reader to success at finding employment. This book can help you position yourself not only in gainful employment, but to recognize and draw from your own strengths in everyday life for other personal benefits as well as just employment.